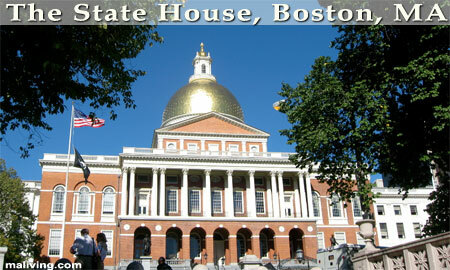 Boston is Massachusetts’s capital city and is filled with a wealth of historical American Revolution sites. 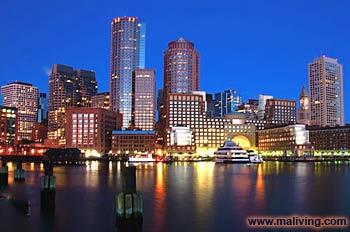 The east end of Boston touches the Atlantic Ocean and is home to Boston Harbor, site of the infamous Boston Tea Party. The New England Aquarium is located on the banks of Boston Harbor and has long been a popular destination in the heart of downtown Boston. Quincy Market is a local stop for Boston workers on lunch break. The main building of this marketplace is stuffed with restaurants and fast food establishments. In the square surrounding Quincy Market, you will find many boutiques and street performers entertaining almost every day. The Museum of Science, The Museum of Fine Arts, Institute of Contemporary Art, Boston Opera House, Boston Symphony Orchestra and the Boston Ballet are all located within city limits. Boston National Historic Park and the Freedom Trail, a historical walking tour marked by red bricks, are important stops if you want to get insight into early American history. The Freedom Trail will take you from downtown Boston to the North End, where you will find Paul Revere’s house and the USS Constitution, affectionately known as “Old Ironsides”. Boston, Massachusetts has many professional sports teams. The New England Patriots football team is not located in Boston itself, but is only a few minutes away at Gillette Stadium. The Boston Celtics basketball team is located in the TD Garden Center, which can be seen when driving into Boston from the north. The Boston Bruins, one of the six original American ice hockey teams, also plays in the TD Garden Center. Fenway Park is located in Kenmore Square and is home to the beloved Boston Red Sox baseball team. To share any Boston, Mass. information with us, please contact us. Learn more about advertising in MALiving.com.